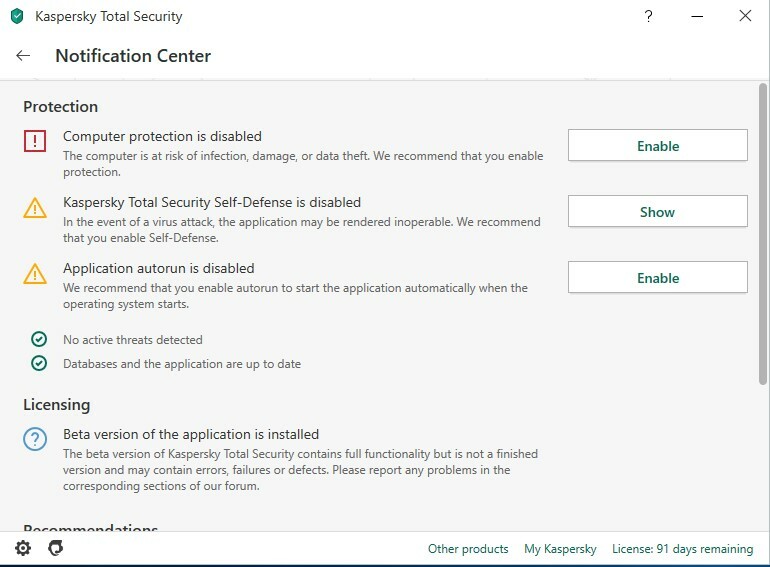 Disable protection and autorun after loading product. All components product work normal. Can you send ppp_debug.reg ? You use reg file, which turn off protection. Why do you expect is should me turned on? By the way, did you create it, or get somewhere? Because what previous build such not was. He lay in folder product. @virus_900. I'll close this issue. This is not a bug, as i sad, this file stops protection. It's very strange, that it didn't stop protection earlier, but now it work correctly.